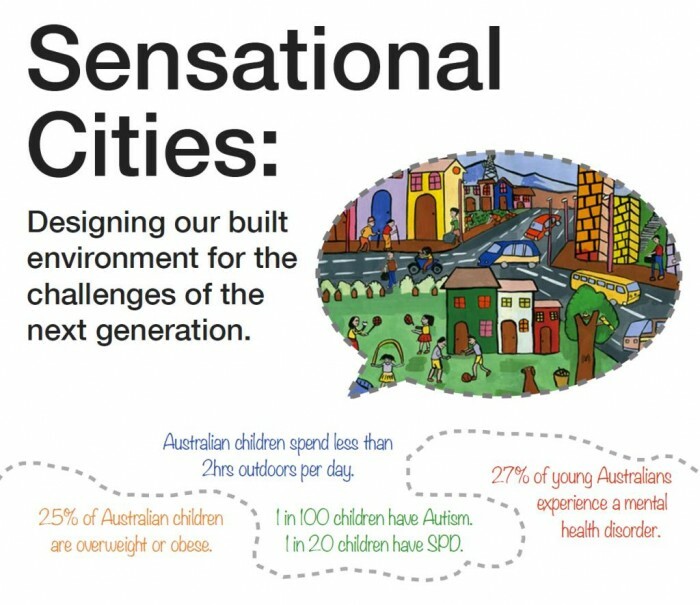 How does the design of our built environment impact the health and well being of our next generation? How do we foster an inter-disciplinary approach to lessen and mitigate the emerging health trends of the next generation? Playscape Creations in conjunction with Landscape Structures, are hosting and sponsoring a series of seminars and events with internationally renowned allied health pioneer and researcher Dr Lucy Jane Miller. Dr Miller is the best known researcher of Sensory Processing Disorders (SPD) in the world, founder of the SPD Foundation and STAR Treatment Method (Sensory Therapies and Research). Dr. Miller has been investigating and treating SPD since 1972. Studies by Dr. Miller, and colleagues, have helped bring SPD widespread recognition, and her work with families has improved countless lives. Dr. Miller has also developed 9 nationally standardised tests to assess and diagnose SPD and other developmental disorders. These lessons are applicable to future sensory gardens and play areas within broad fields of architecture and landscape architecture. In 2004, Dr. Miller received the Award of Merit from the American Occupational Therapy Association, the profession’s highest honour. In 2005, she was awarded the Martin Luther King Jr. Humanitarian award by the state of Colorado. Her special interest in, research about, and new intervention method for those who have Sensory Processing Disorder has impacted countless children and families. UDAL will be hosting the Sensational Cities seminar on 26th August in Brisbane – where you will have the opportunity to hear to Dr Lucy Jane Miller along with leading Australian health and built environment professionals as they share their expertise and thoughts on tacking. Register here to assure your attendance at UDAL’s Brisbane event.